High blood pressure has become a common problem. Poor routine, work load and street food have pushed it even more. When pressure increase in the arteries of the heart than the organ which supply the blood to the heart gets more pressure. 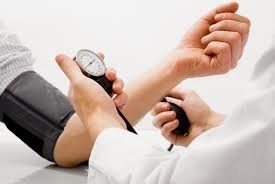 Symptoms of high blood pressure are headache, dizziness and increased heart throbbing. High BP patients should use very light salt. You should check the packed food contents as well. High BP can be controlled with the drug. Garlic: Garlic is herbs which contains antibacterial, antioxidant, lipid-lowering and antihypertensive properties. You will get benefit by eating two buds of garlic with empty stomach in morning. Ginger: Ginger contains powerful antioxidants that are very effective in bringing down the bad cholesterol. Ginger also improves your blood circulation. It gives relief to muscles around the arteries so that hypertension comes down. Coriander Powder: Take three grams coriander powder morning and evening with water. You will get advantage in fifteen days. Fennel and Cumin: Take fennel, cumin and sugar in equal amounts. Make its powder. Mix into a glass of water and drink it morning and evening. Cardamom: It effectively reduces blood pressure. It also improves antioxidant level. Its consumption changes fibrinogen levels without altering blood clots. Red Peeper: Consumption of red peeper widens the blood vessels. So blood pass comfortably and there are no problem of high BP. You should include red pepper in your diet.